In wake of attack on Danish synagogue, Prime Minister calls on European Jews to 'come home' to Israel, now, before things get worse. Prime Minister Binyamin Netanyahu on Sunday issued a call to all Jews living in Europe to immigrate to Israel after a lone gunman attacked a synagogue in Denmark's capital of Copenhagen. "Extremist Islamic terrorism has struck Europe again, this time in Denmark," Netanyahu said at the beginning of his weekly Cabinet meeting in Jerusalem. "We send our condolences to the Danish people and to the Jewish community in Denmark." 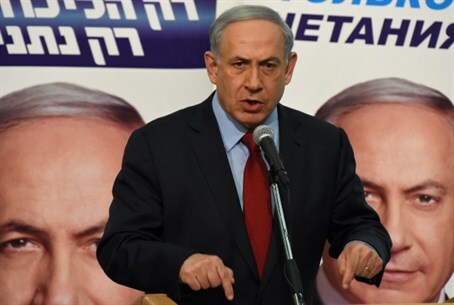 "Jews have been murdered again on European soil only because they were Jews and this wave of terrorist attacks - including murderous anti-Semitic attacks - is expected to continue," Netanyahu warned. "Of course, Jews deserve protection in every country but we say to Jews, to our brothers and sisters: Israel is your home. We are preparing and calling for the absorption of mass immigration from Europe. "I would like to tell all European Jews and all Jews wherever they are: 'Israel is the home of every Jew.'" Netanyahu's statement comes comes in the aftermath of two targeted attacks in Copenhagen on Saturday night. The first, in which a gunman shot over 200 bullets into a Copenhagen cafe hosting a "Blasphemy Conference" over free speech and Islam, killed a 55-year-old civilian. Jewish security guard, Dan Ozan, 38, was killed in the second attack outside of a synagogue hosting a bat mitzvah celebration. Five police officers were also injured in both attacks. The Danish police announced Sunday that they had shot the assailant in both attacks dead outside a suburban train station. They denied the presence of a second gunman in both of the attacks. Netanyahu issued the same call to French Jews to immigrate to Israel in the wake of a spate of terror attacks in Paris last month, in which 17 people were murdered, including four at a kosher supermarket. "To all the Jews of France, all the Jews of Europe, I would like to say that Israel is not just the place in whose direction you pray, the state of Israel is your home," he said at the time.